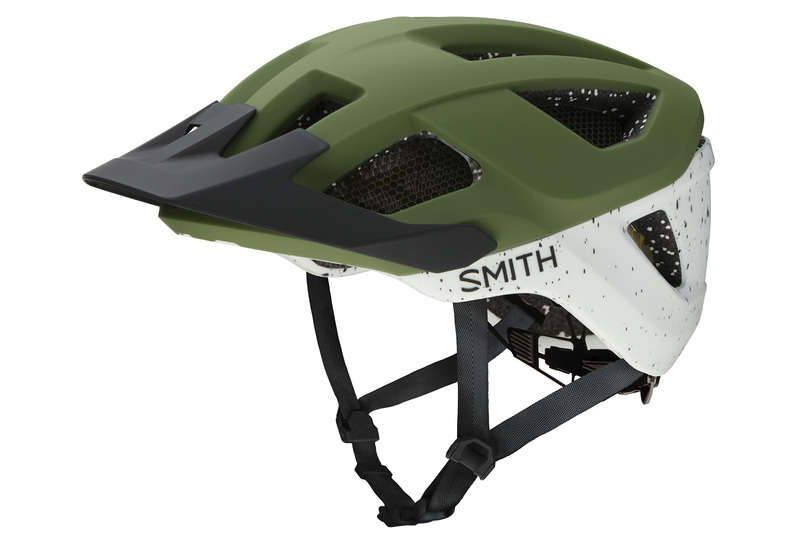 The Smith Session helmet is designed for trail riders that demand the balance of style, protection and ventilation. Koroyd® is featured in strategic, zonal impact areas giving riders the confidence they need to charge harder. The top of the helmet has massive air ports which combine with internal air channels to allow for maximum airflow and ventilation. The Session features channels on the front of the helmet for easy eyewear storage, and the three-position visor rotates high to allow for goggle storage. Zonal ventilated protection featuring Koroyd®. Mips equipped: Multi-directional impact protection system. Ultimate eyewear and goggle integration. Camera and light mount compatible. Certification: CPSC, CE EN 1078. Weight: 370 g (size M).